In recent years, several U.S. wine companies have embraced a charitable mission, setting aside a portion of their profits to support causes the owners believe in. Consumers get the benefit of a good product, plus the satisfaction of knowing that a portion of their purchase supports humanitarian relief, medical research, or causes like educational access, affordable housing, and social justice. In the wake of Hurricane Katrina, for example, New Orleans resident Dwayne Shockley launched the Resurrection label, raising tens of thousands of dollars to support Habitat for Humanity. The wineries Humanitas and Cleavage Creek in California wine country, and Grand River Cellars in my home state of Ohio, are three other good examples of wineries that give back. Collectively, these companies have raised hundreds of thousands of dollars to provide funds for hunger relief, breast cancer research, and autism intervention. Each of these three wineries has a different—and sometimes very personal—story. Humanitas was created by Judd Wallenbrock, general manager of Michel-Schlumberger wine estate in the Dry Creek Valley of California. Wallenbrock had long dreamed of owning his own winery, but only decided to take the plunge once he realized he could use the business as a vehicle to give back to his community. 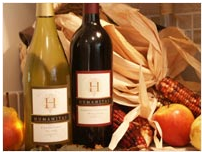 Humanitas was founded in 2002, and its wines are priced between $14 and $75. The company focuses its philanthropy on education, hunger relief, and affordable housing, and has recently begun to target only local branches of such charities. Wallenbrock is in the position of being able to give away all of his net profit—about 7% of revenue, significantly higher than that of most wineries, whose profits usually hover around 5%. Budge Brown founded Cleavage Creek Winery after losing his wife to breast cancer in 2005. “My wife died for no damn good reason,” he said, adding it was “time to do something.” So, two years after her death, he purchased the Cleavage Creek label, with vineyards in Napa and Pope Valley. 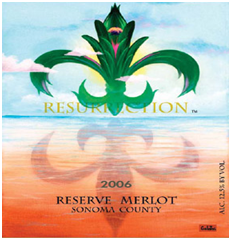 He issued his first vintage in 2007, and each wine’s label features a different breast cancer survivor. According to Brown, this personalizes the product and reminds the purchaser to think about someone in his or her own life who might need help fighting the disease. It “hopefully inspires everyone to take on the fight,” he said. Cleavage Creek is now in its fourth vintage of wines, and the labels now feature a fourth group of survivors. Prices range from $18 to $50, and the winery has so far given more than $72,000 to breast cancer research facilities and charities. Unlike many charitable corporations that donate a portion of profits, Cleavage Creek Winery gives away 10% of proceeds before any profit is taken by the company. Grand River Cellars, located near Cleveland in Madison, Ohio, is owned by three partners: Cindy Lindberg, Tony Rego, and Tony Debevc. Lindberg, a former school psychologist, wanted to do more than simply sell wine—she wanted to help children with special needs, too. “I believe that when you own a business you rely on your community to support you. In return, I feel it is important to give back to that community,” Lindberg said. Her passion: autism research, in part because of its prevalence in the U.S., but also because a close friend’s child carries the diagnosis. So she decided to focus her efforts by creating just two wines. In 2007, Austin’s Red and Austin’s White had their official release in an event at House of Blues restaurant in Cleveland, raising over $192,000 for Cure Austim Now/Austim Speaks. “The wines for autism are just one way in which we give back,” notes Lindberg, whose wines retail for $13 to $15. More recently, Grand River Cellars has created their own charity in order to keep proceeds local; all donations now go to support the Northeast Ohio Autism Group. Emma Criswell writes for her blog Wine & Stilletos as well as an online wine magazine called The Second Glass, based in Boston. She is pursing her Master’s degree in media and cultural studies; specifically wine culture from Ohio University. Grand River Winery combines the best of all worlds. They understand that to be successful in today’s economy you need to have more then great wine. They do have that, but they also have developed a special culture where friends gather to enjoy great food, wine and entertainment. I am proud that they have also receive acclaim for their charitable mission. I love the resurrection label and name. Great article. Two thumbs up to Bill! I’m also a Grand River Winery fan. Period. 🙂 Cheers! Thank you Emma for a wonderful article about the winery and other’s as well. Thank you to Mart and Bill for your wonderful support. Thanks so much for the shout out — supporting wineries such as ours is just so darned simple — just enjoy our wines & support charity! There are a lot of choices out there — why not choose wines that give something back? Great job to all in the article — let’s all try to ‘drink charitably’ more often! For the past seven years, Chateau Morrisette of Floyd, VA (website = thedogs.com)has been making wines that give back as well. Our Dogs4acause.org site lists all the wines we currently produce that contribute to various organizations. Two wines of note are the Service Dog wines – Liberty and Independence. Eight percent of the gross proceeds from the sale of these wines benefit two Service Dog organizations – St Francis of Assisi of Roanoke Va and Service Dogs of Virginia in Charlottesville. Also, sales of our Hokie Bird wines generate 10% in royalties paid to the general scholarship fund of Virginia Tech. Our Milepost wines benefit the Blue Ridge Parkway Foundation, an volunteer organization that helps support the nation’s longest National Park – the Blue Ridge Parkway. The parkway is celebrating its 75th anniversary this year. Thanks, Jon, for mentioning our winery. Stein Family Wines does indeed give 5% of its gross directly to student scholarships (both my husband and I are English professors still). We’ve worked with the Napa Valley Hispanic Network, Napa Valley College’s student scholarship program, and other programs donating our 5% as well as cases of wine for humanitarian events. Our kids (twin 5-year olds) are also very much in the process (designing label in the case of our Gewurtz) as we want them to be installed with the idea of always giving back as well. Salud! Let me second the other Jon’s comments (and Cath’s) about Stein Wines. Great wines, great community members. Valley where we have been making wine for ourselves since 1994. We started selling our cabernet in 2007 with our 2003 vintage and from the get-go, we have donated 100% of our net proceeds to the Napa Valley Community Foundation ( I was the former Chair). NVCF is the umbrella non-profit organization that manages major donor charitable funds which are given out to many of the 500+ non-profits in Napa County. Since we have been blessed in our previous business lives, we felt it was important to give back to the community we live and work in. We may be small, but we hope we are mighty! Giving wines that give back is a win win! My husband and I just recently started a company called Wines 4 Cures with the same concept. Check us out. We will be sure to find the wines you have mentioned also. Our motto is Caring and Curing One Grape at a time.